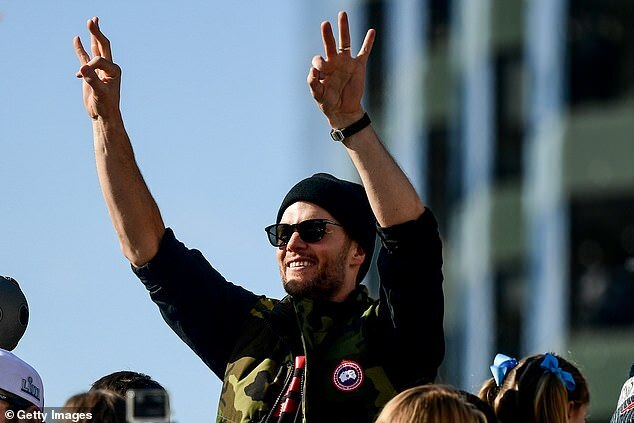 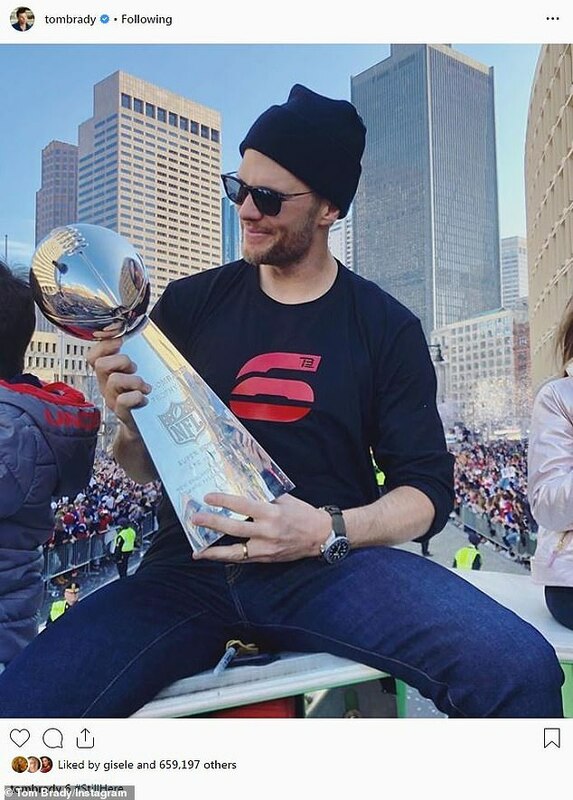 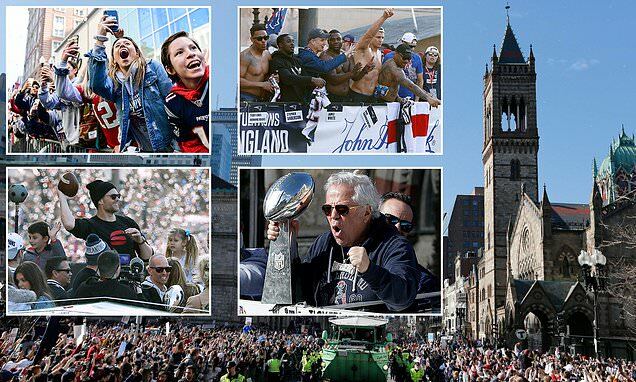 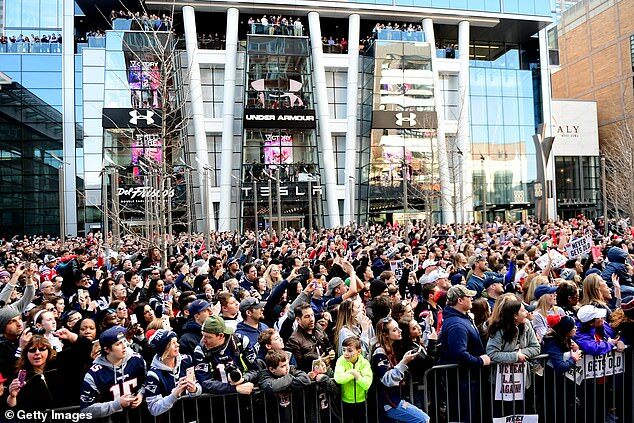 A party atmosphere engulfed the city as fans wearing Patriots shirts and scarves packed the streets in the mild weather and stood on tiptoe for a glimpse of quarterback Tom Brady, coach Bill Belichick and the rest of the team. 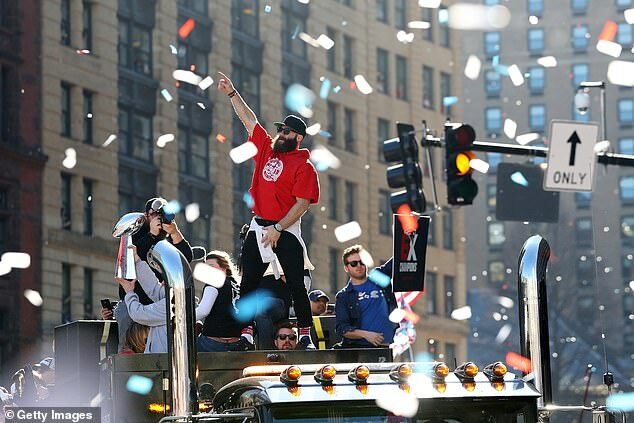 Red, white and blue confetti rained down. 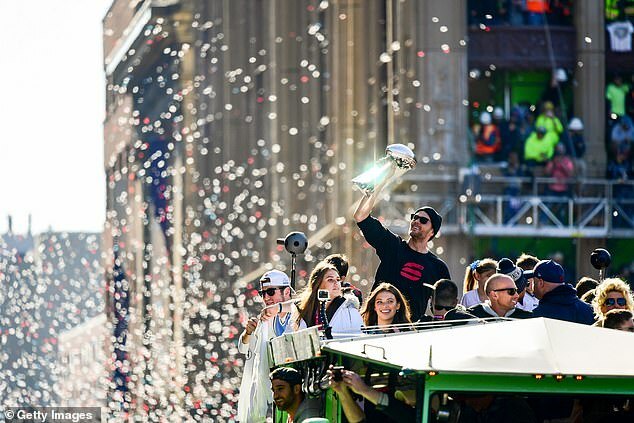 Brady held his daughter, Vivian, and they waved and grinned at the crowd as players and team owner Robert Kraft took turns holding aloft the Lombardi Trophy. 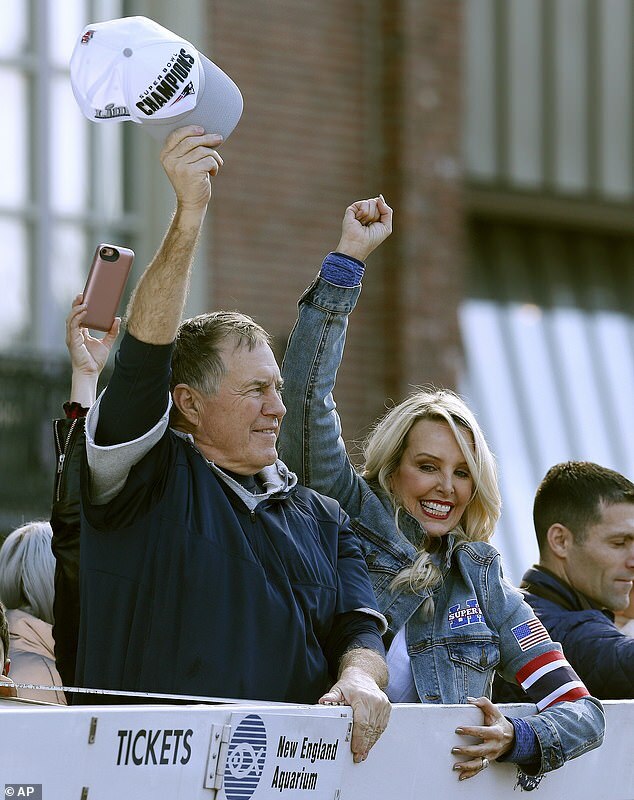 Belichick and his partner, Linda Holliday, beamed, and the veteran coach saluted the fans. 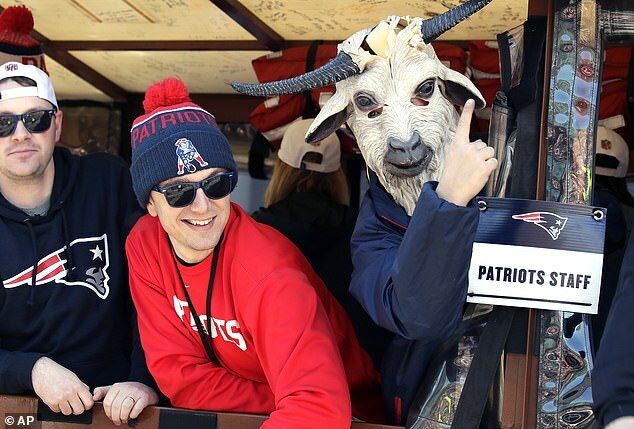 They waved large signs that read, ‘We Got Everything’ – a twist on the Patriots’ motivational hashtag, ‘Everything We Got,’ that had become a theme this season. 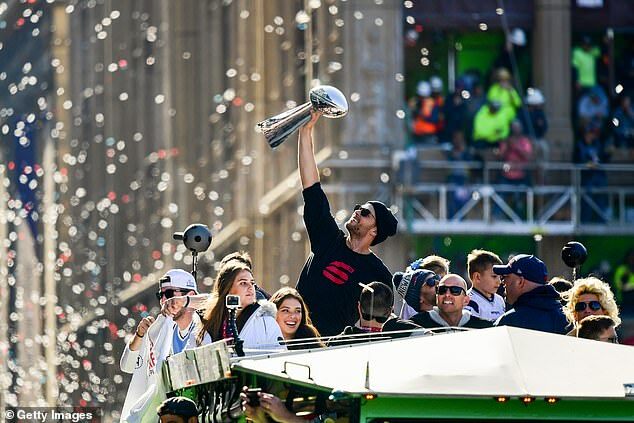 At least one brave Rams fan, wearing the team’s blue and yellow jerseys, was seen along the parade route.